Motorola Moto E5 with rear facing fingerprint scanner leaks! Home / leaks / mobile / motorola / Motorola Moto E5 with rear facing fingerprint scanner leaks! 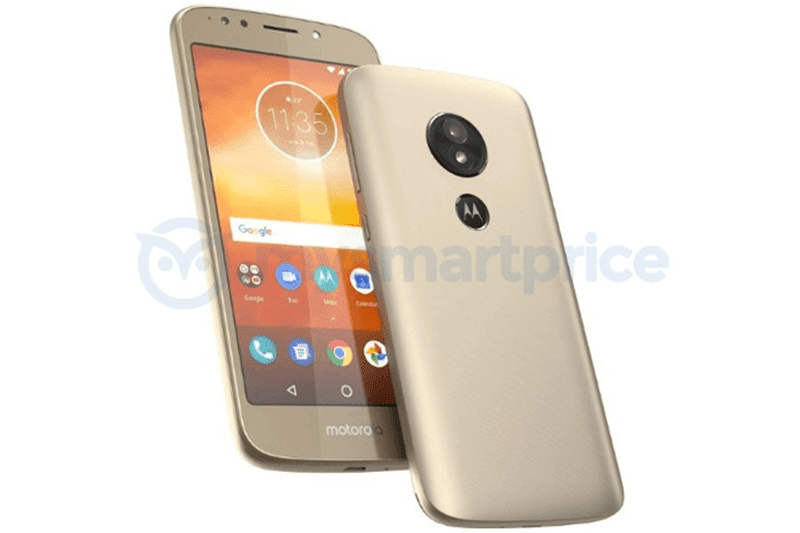 Today, a render of Motorola's upcoming Moto E5 leaked. Based on the image, it will be the first modern Moto smartphone packed with a fingerprint scanner behind. In addition, it could be a gold colored metallic handset. It'll have a volume rocker and power button at the right side, 3.5 mm headphone jack slot on top, micro USB port and microphone below, main camera with LED flash at the back, and selfie camera with LED flash in front. Moto also settled to use on-screen keys instead of the traditional physical Android keys. However, it seems like the Moto E5 won't really be that modern looking. It won't still have the trendy 18:9 screen. According to leaks, the handset could boasts a 5-inch screen, MediaTek chipset inside, and WiFi, Bluetooth, and GPS connectivity. The Moto E5 could be revealed on April 3, 2018 for around USD 120 to USD 150.